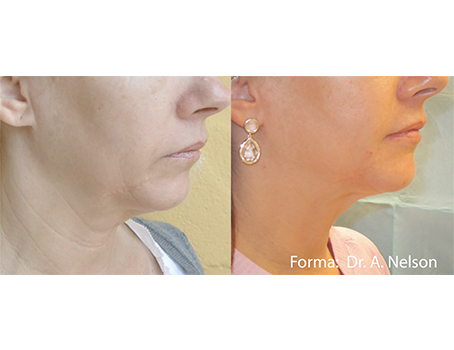 Forma Skin Tightening Laser Treatment is one of the newest, most advanced, and most effective techniques for tightening and lifting skin. Often referred to as a “Red Carpet Mini-FaceLift,” a Forma treatment is known for it’s ability to deliver an immediate revived and naturally lifted appearance without any downtime. 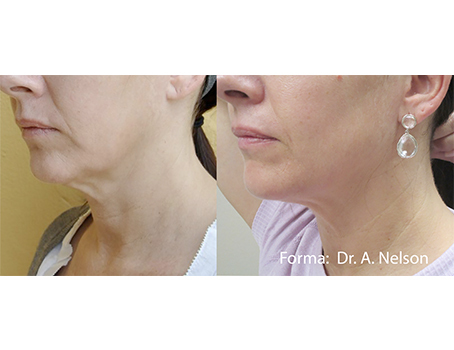 Forma will astonishingly remove or reduce the appearance of the nasolabial fold, lax necks, jowls, double chins and loose necklines.